The EC2-A comes in at 93g, slightly under the EC1-A at 97g. Most modern gaming mice average around 90 to 100g. This mouse does not offer any additional weights and I found it to work well when gaming without them. This may be the upside to this mouse but for my day to day use, it turned into a double edge sword. Not having to install software is great, but you lose a lot of the personalization you can add to the mouse. You cannot change any of the buttons or add macros, so default mappings will have to do. 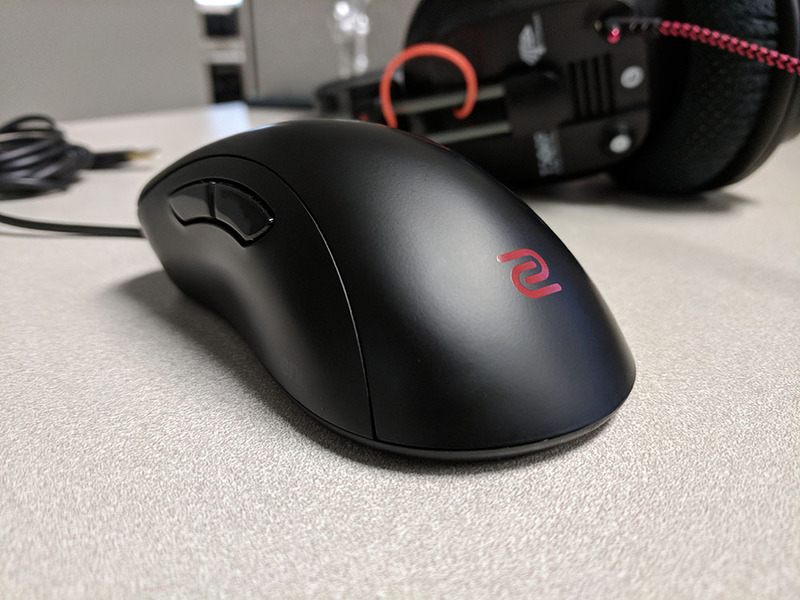 The majority of gaming mice offer software to allow you to customize multiple DPI levels and with a click of a button on top of the mouse switch between them. Zowie decided that you should have to lift the mouse up, turn it upside down and use your thumb to press a small inconvenient button on the bottom of the mouse. The mouse does offer 4 preset DPI settings with a corresponding scroll wheel LED. As there is no software, to switch polling rates you will have to unplug the mouse, hold the corresponding button for which polling rate you want, and plug the mouse in. If your computer is difficult to reach this will make testing the polling rates a struggle to deal with. 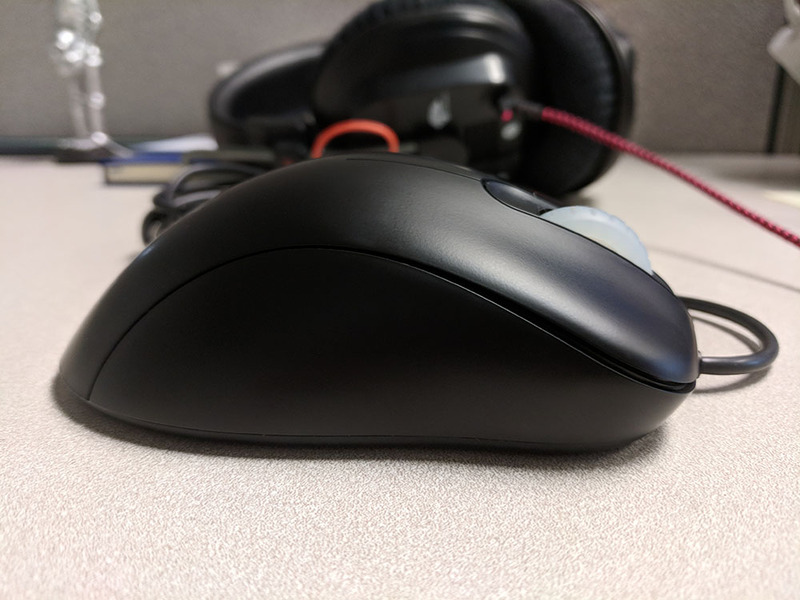 The shape of the mouse feels generic but comfortable. 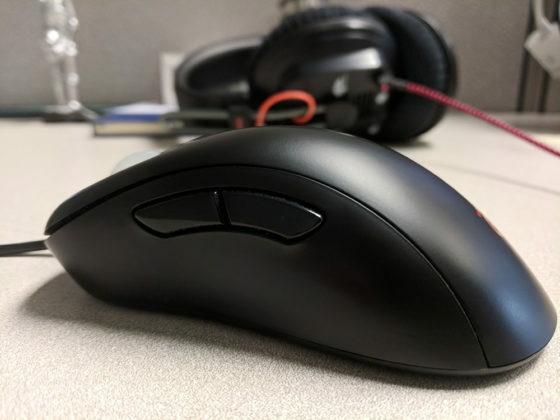 The palm grip fits well against your palm and doesn’t have the awkward hump as the Logitech G403/G703 has. 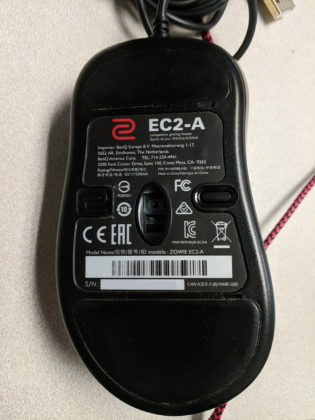 The front buttons of the mouse have a downward angle which provides a nice controlling feel over the mouse. Whether you play with a palm grip or claw grip, this mouse will suit your needs. The material used in the mouse is a glossy plastic and does not provide any rubber material for grip along the sides of the mouse. If your hands are not ‘warmed up’ or slightly sweaty you are going to have a difficult time keeping your grip on it. I really feel like this is where Zowie skipped a lot of steps. They may have used thinner plastic to lower the weight, but it immediately stood out and felt like the shell might crack in the middle of tense gameplay. 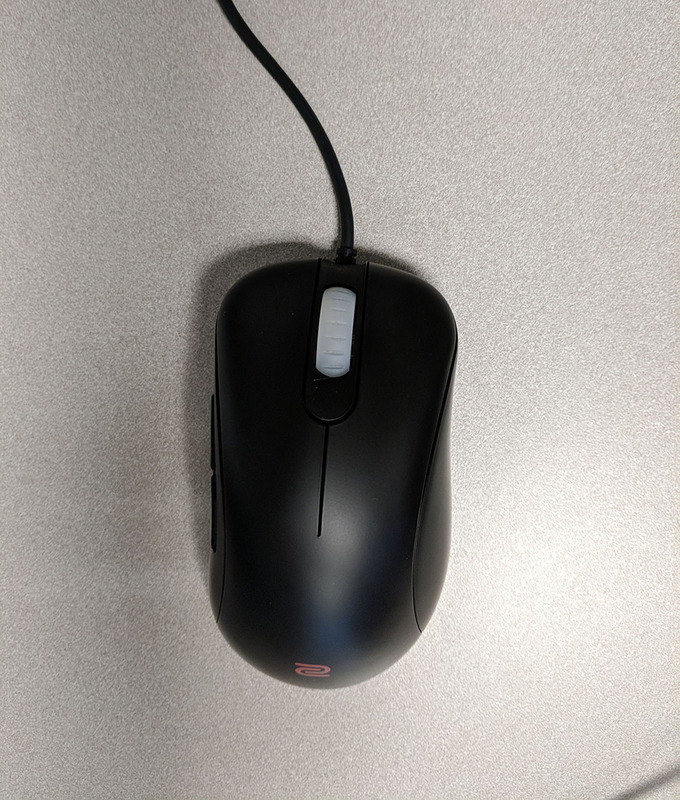 The left and right mouse buttons provide good stiffness when clicking feel very similar to the G703 switches perhaps a bit heavier (I was corrected by a redditor, re-tested and he was right). The thumb buttons, on the other hand, maybe where I really dislike the mouse. These two buttons feel like there’s a lot of travel in them before the switches activate. The scroll wheel as I have been told is the most tactile out there, but I would describe the mouse I bought as a “sludgy” scroll feel yet better than the g703 wheel. The mouse certainly has a reason people enjoy it so much for FPS gaming. It tracks really well, it glides well, and overall its an easy mouse to get used to. 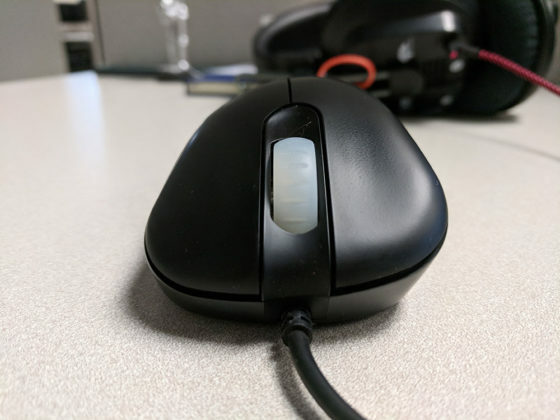 Switching DPI may not be something you do, but as I mentioned above keep in mind you will have to lift your mouse to press the DPI switching button on the bottom. You may want to print out a cheat sheet of what colors represent DPI sensitivity. 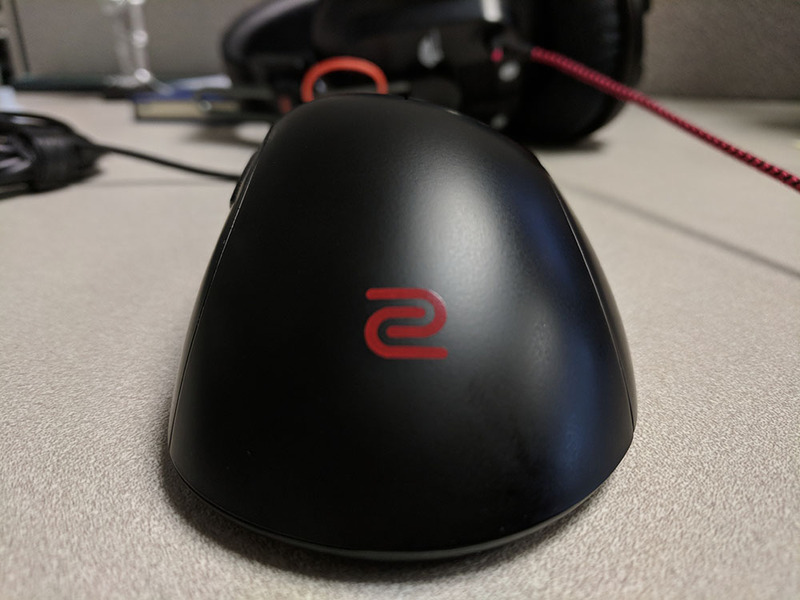 While it seems like I did talk about only the bad things, this is a great mouse but keep in mind that it does feel low quality. While the feeling may be cheap, the mouse has lasted well and no major signs of wear over the last year I’ve owned it. The inability to continue playing and switch between custom DPI may annoy others as it has annoyed me. I often switch between multiple DPIs for gaming or normal computer use and having to take a few extra steps may put you off. The EC2-A does feel cheap to me. There’s a lot of creaking from the shell, the thumb buttons have a lot of travel but overall its a mouse that works well. The feeling of cheap does not mean its a bad mouse or it will break. I’ve not had any physical issues with the mouse over a few months of use.